Some local attractions in the area. The Isle of Purbeck and its surrounding area is full of great places to explore. 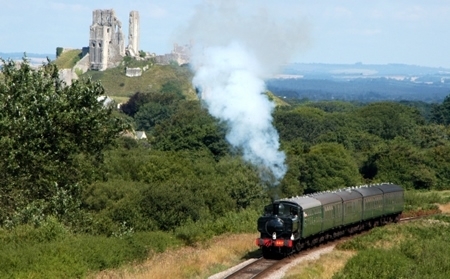 For the historians, there are the ruins and the village of Corfe Castle, the old port town of Wareham, Tyneham Village, and the Swanage Steam Railway. For the geologists; Kimmeridge Bay, Lulworth Cove & Durdle Door are spectacular displays of the geology of this area. For the walkers, ramblers and cyclists, there are numerous well-documented walks along the coast line, through woods and across heathland. For the families, there is Studland Beach, Swanage Bay, Monkey World, Putlake Adventure Farm and Bovington Tank Museum. These are just a few of the better known attractions that our area has to offer. There are many more for you to discover for yourselves. The walks and cycle rides that surround Norden Farm are some of the best in the area and the Purbeck Way can be accessed directly from the site. Take a trip back in time and visit the Steam Railway. The small station at Norden is a 10 minute walk from the campsite (a short distance alongside the main road), and the Steam train will drop you off almost on the beach in Swanage. 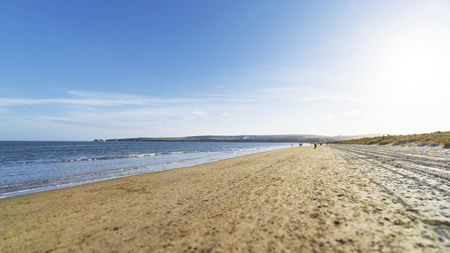 The sandy stretches of Studland Beach are excellent for family bathing, with extensive sloping beaches and shallow waters safe for children. Just one small note of warning – there is a dedicated section for use by naturists towards the northern end, but there is plenty of beach left for everyone else! 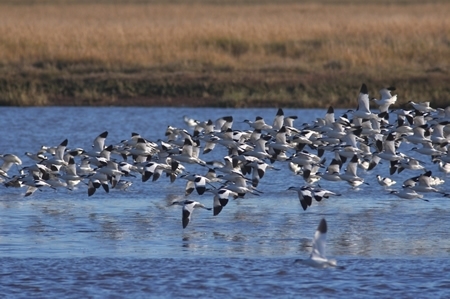 The Arne Nature Reserve, owned by the RSPB, is considered one of England’s most important nature reserves. It covers around 1300 acres encompassing the three main habitats on the peninsula – estuary, heathland and woodland – and is home to the Dartford Warbler. Arne Nature Reserve is a safe environment for family walks with viewpoints offering panoramic views across Poole Harbour. Spend a day walking around this 65 acre site where rescued Chimps from all round the world are rehabilitated into social groups and live in natural large areas. A great day out for all the family. 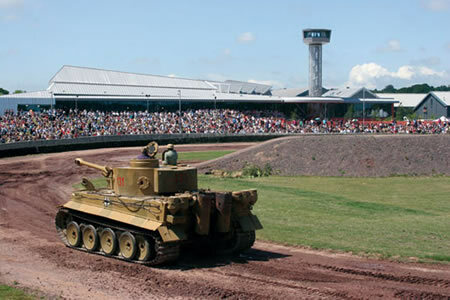 Filling five large halls, this Museum houses the world’s largest and finest collection of tanks and armoured vehicles from over 26 countries. A must for the boys! 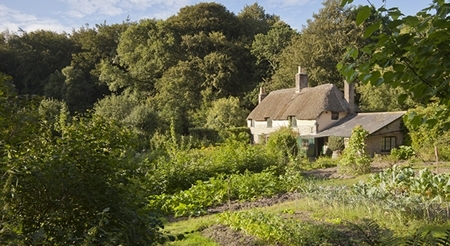 Thomas Hardy set most of his work in an area he called Wessex, the name of an Anglo-Saxon kingdom in south-west England. South Wessex is closely associated with the county of Dorset, particularly Dorchester, where Hardy was born. Did you know that Hardy’s Knollsea is Swanage and Anglebury is Wareham? You can find these old names used in lots of places throughout the area. Purbeck Sports Centre is a modern, accessible facility, situated half a mile west of Wareham town centre. Everyone is welcome, either as a regular customer or for a ´one-off´ visit. There are all sorts of activities to be enjoyed. Suitable for all the family and a good alternative for a rainy day. Dorset Waterpark is the highest rated aqua park on the South Coast. 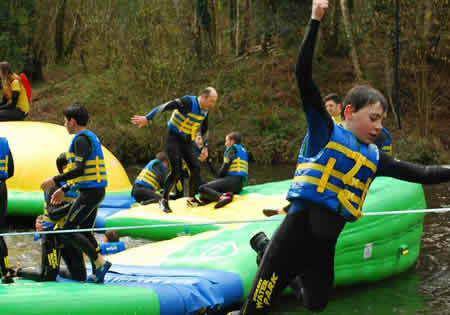 With over 150m of floating, inflatable obstacles to tackle as well as trampolines, slackline, monkey bars and a new forest lake set-up for 2017. The park is just a few minutes drive away from us.